Occupational hazards take on many forms here in northern Ghana. This young teen was cutting the grass with his friends using a local machete in which the end is bent at a 45 degree angle. Unfortunately, his ankle got a little too close to another machete wielding boy and his achilles tendon was severed. After closure of the wound. 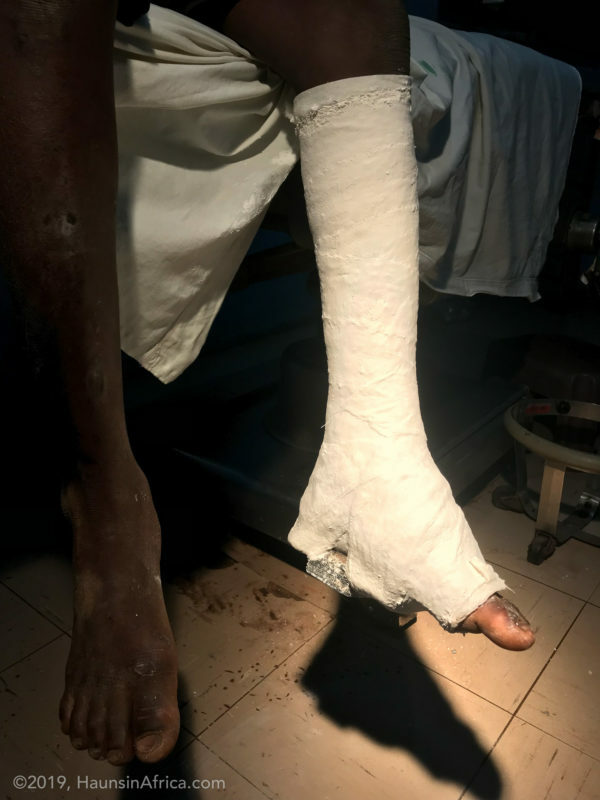 Patient was kept in an “equinus” cast to protect the healing achilles. When I examined the boy, I could feel a 1.5 cm gap in his achilles tendon. We opted to take him to the operating room and give him spinal anesthesia in order to repair the tendon. 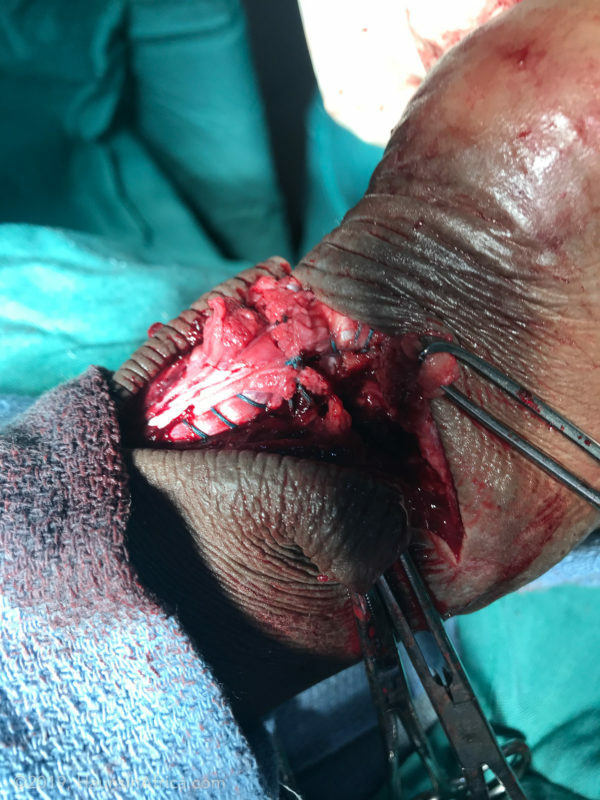 Although the laceration was transverse across the ankle, I extended the incision longitudinally in order to be able to bring the tendon back down into view. 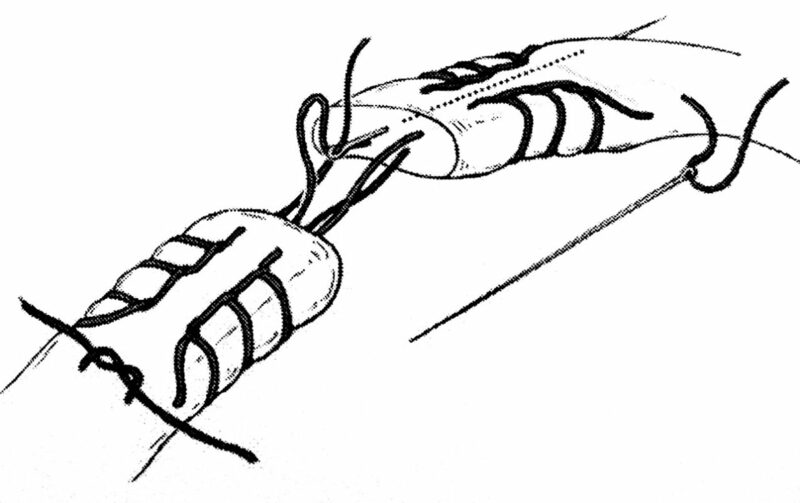 Using a large, sturdy, non-absorbable suture, I was able to repair the tendon using the Krakow method. 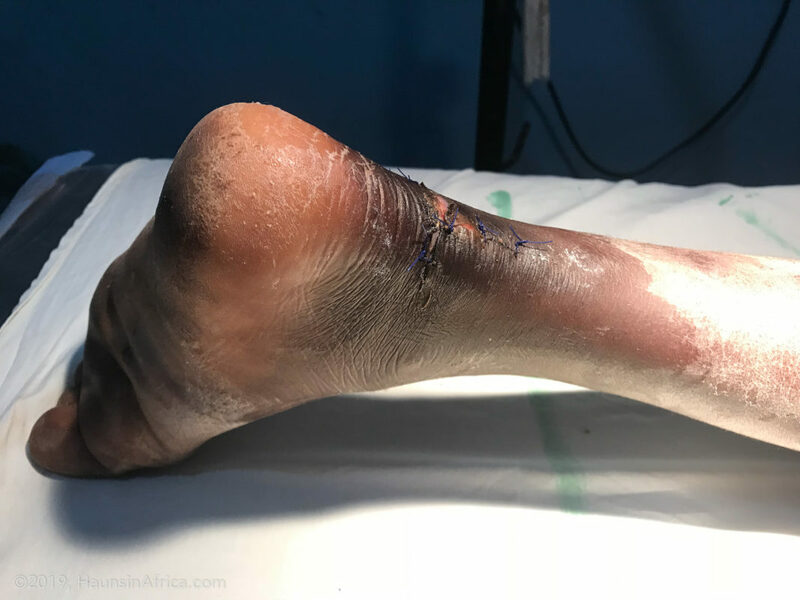 After the incision was closed, I placed a cast on his leg keeping him “on his tiptoes” in order not to add stress to the achilles tendon while it healed. After 6 weeks of wearing the cast, the patient had great function of the achilles and has done well.